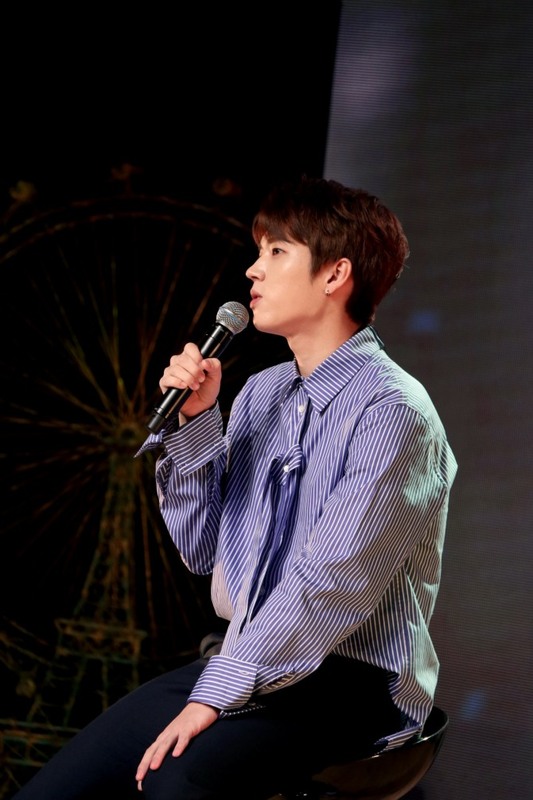 Having proved his worth as both singer and songwriter with the single “Still I Remember” in 2016, Infinite’s Woohyun returned with his second solo album, “Second Write,” on Monday. “It’s been a long time since my last album. 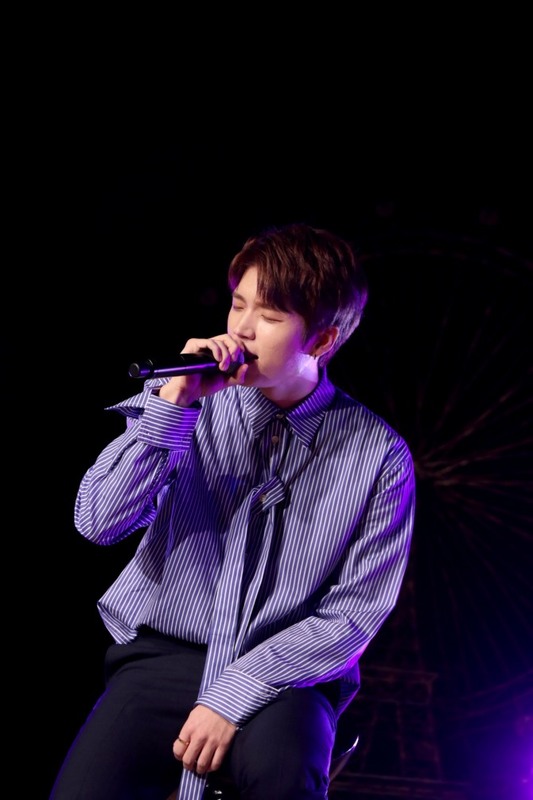 I wanted the new album to be out as soon as possible and I had already made the songs,” said Woohyun during a showcase for “Second Write” in Seoul. The seven-track EP’s lead track “If Only You Are Fine” is a poignant breakup song penned and composed by the singer in collaboration with producer team 7six9 music. Led by the singer’s powerful vocal and emotional string sounds, the tearful ballad track showcases the artist’s strong penchant for the genre, while it lyrically touches on the ailing love of a couple in the state of ennui. The album also includes “You Are My Lady,” a romantic love song, “I Swear,” a jazzy number featuring bandmate Dongwoo, “Smile,” an upbeat rock number, “Same Seat,” another ballad track rich with emotions, and “I Love You,” a dulcet mid-tempo track dedicated to fans. While the collection spans various genres, the idol band member agreed it has strong leanings on ballads and shared his experiences listening to such melodious songs when he was younger. “I look all positive and energetic on the surface, but guess there’s always been a sad part of me. I enjoyed listening to ballads of Kim Dong-ryul and Lee Seung-hwan,” he said. Asked about his favorite track from the album, he chose the self-composed “I Love You” as reflecting his actual experiences and emotions. “The song was inspired by my fans. All the songs include my own stories, but this song directly reflects my own experience. I wrote the song’s melody in 10 minutes. It’s also a very lovely song that I smile every time I listen to it,” he said. 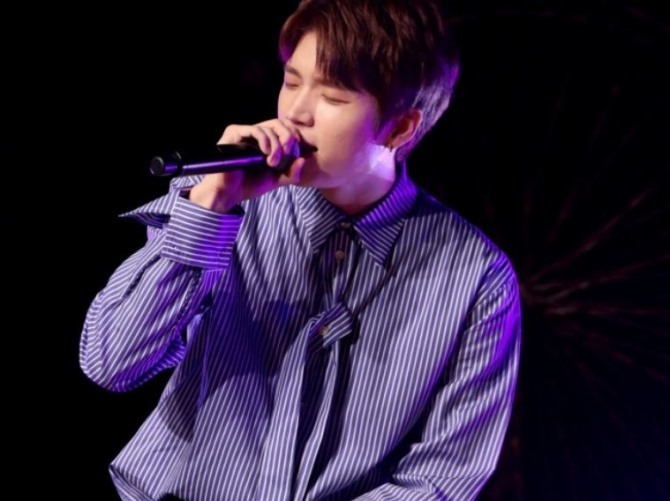 Having debuted as a main vocalist of popular boy band Infinite in 2010, Woohyun said he hopes for his musical career to be set apart from the group’s sonic path, which has often embraced retro synth pop and synchronized dance performances. He released his first solo EP, “Write,” in May 2016. “It’s my ninth year as an artist, and what I realized is that there’s no right answer to my music and vocals. Just like a student who struggles to find an answer, I’ve put a lot of effort into this album. I don’t know how other singers are like, but for me, I recorded each song at least three times,” he said. “While it’s an indelible fact that I am an idol member, I hope people recognize me as an artist who has sincerity,” he added.